Chicago-area car shoppers on the hunt for a large, comfortable SUV for their growing family will come across the 2019 Chevrolet Suburban and 2019 GMC Yukon in their search. Both SUVs offer a roomy interior, lots of safety features, and an attractive exterior package, but only one of these SUVs can be the next to sit on your driveway. Sunrise Chevrolet compares the Chevy Suburban vs. GMC Yukon to see which is better suited for your Carol Stream drives. Step inside both interiors, and you will get 42.8 inches of front headroom, 45.3 inches of front legroom, and 64.8 inches of front shoulder room, but the similarities end there. 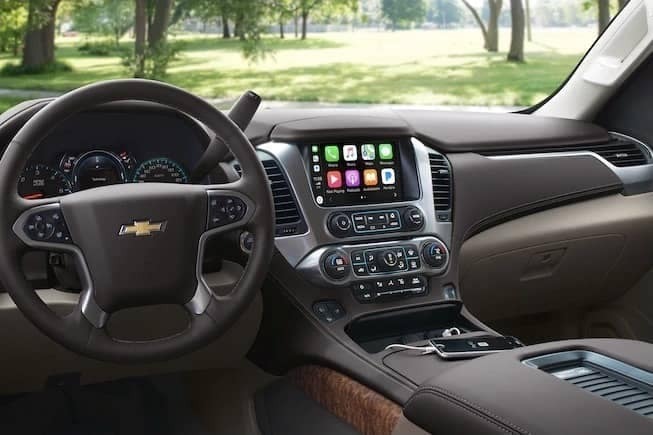 2019 Chevy Suburban Dimensions: This full-size SUV provides comfortable seating for up to nine passengers, as well as 39.1 inches of second-row headroom, 39.7 inches of second-row legroom, and 65.1 inches of second-row shoulder room. Third-row passengers get 38.5 inches of headroom, 34.5 inches of legroom, and 62.6 inches of shoulder room. 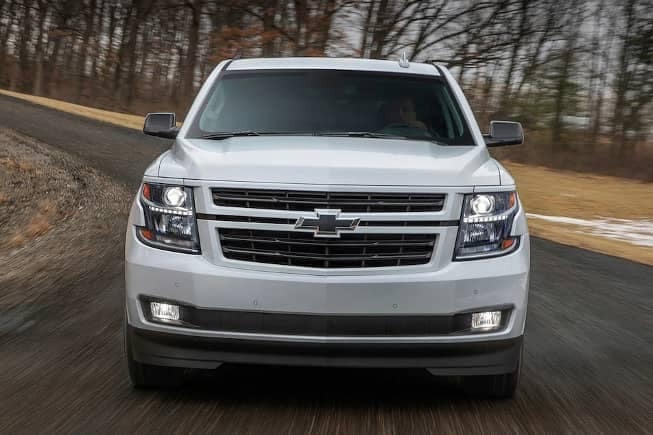 2019 Chevy Suburban Storage: The Suburban offers lots of storage space with 100.3 cubic feet behind the first row, 63.6 cubic feet behind the second row, and 31.6 cubic feet behind the third row. 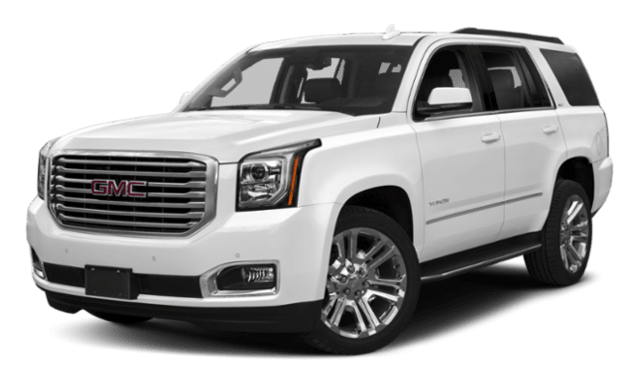 2019 GMC Yukon Dimensions: The GMC SUV offers cozy seating for up to eight passengers, nine with the SLE upgrade available. You also get 38.7 inches of second-row headroom, 39 inches of second-row legroom, and 65.1 inches of second-row shoulder room. Third-row passengers get 38.1 inches of headroom, 24.8 inches of legroom, and 62.6 inches of shoulder room. 2019 GMC Yukon Storage: The Yukon only provides 94.7 cubic feet behind the first row, 51.7 cubic feet behind the second row, and 15.3 cubic feet behind the third row. If you compare Suburban vs. Yukon mpg, the fuel economy stats are the same at 18 mpg for combined city/highway driving. The Suburban gets you further with its 31-gallon tank, versus the Yukon’s 26-gallon tank. 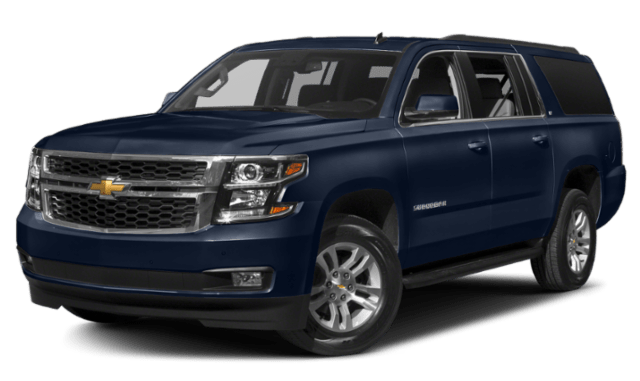 2019 Chevy Suburban: The standard engine is a 5.3L EcoTec3 V8 engine paired with a six-speed automatic transmission that delivers 355 hp and 383 lb-ft of torque. The Suburban has standard rear-wheel drive, and four-wheel drive is available. There’s also an available 6.2L EcoTec3 V8 engine paired with a 10-speed automatic transmission that delivers 420 hp and 460 lb-ft of torque. 2019 GMC Yukon: The Yukon also has a standard 5.3L EcoTec3 V8 engine that produces 355 hp and 383 lb-ft of torque. The available 6.2L EcoTec3 V8 engine delivers 420 hp and 460 lb-ft of torque, but it’s paired with an eight-speed automatic transmission. Two-wheel drive is standard, and four-wheel drive is available. Whether you’ compare the Premier trim of the Chevy Suburban vs. GMC Yukon Denali, the Chevy Suburban vs. GMC Yukon XL, or the base trims of both, it’s clear which is the better choice. The new Chevrolet Suburban offers more interior space, better standard safety features, and loads of cargo space for Addison families. 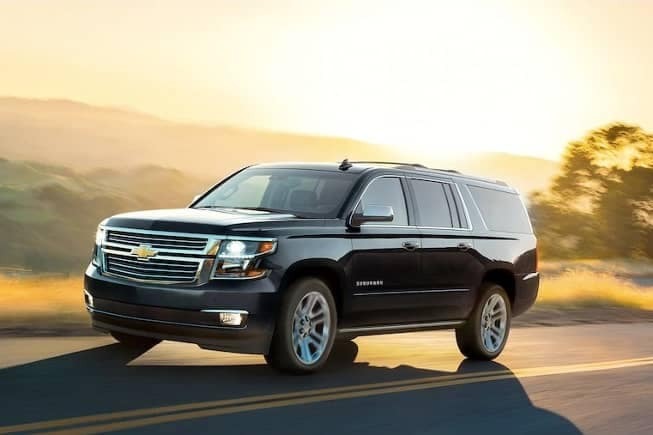 Visit Sunrise Chevrolet to explore the difference between the Yukon and Suburban more, and we’ll hit the Glendale Heights road for a test drive. Contact us today with any questions!